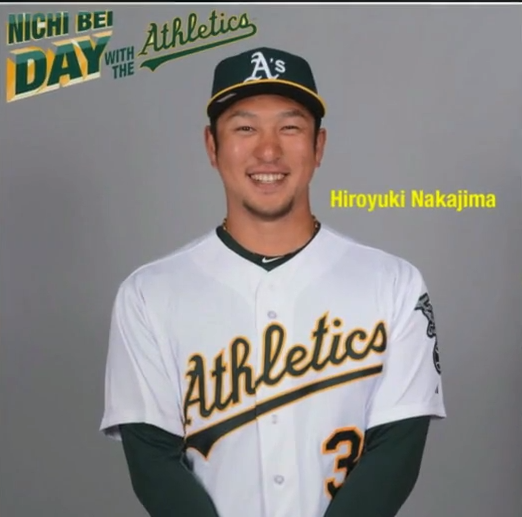 OAKLAND — Nichi Bei Day with the A’s will be held during a game against the Los Angeles Angels on Saturday, July 27, at 12:05 p.m. at the Oakland Coliseum.Rookie shortstop Hiroyuki Nakajima and former All-Star reliever Hideki Okajima will take on their ALWest rivals during this annual fundraiser for the Nichi Bei Foundation, publisher of The Nichi Bei Weekly, a nonprofit community newspaper. Free pregame tailgate party, including hot dog and beverage, for those who purchase tickets ($30 each) through the Nichi Bei Foundation. Orders due by July 10. A marrow drive will be held at the tailgate. The first 10,000 fans will receive a free 1969 Oaklandish Throwback T-shirt. For more information, visit www.nichibei.org/tickets.